LTC Stephen Beller is currently serving as the Liaison Officer from the Chief, National Guard Bureau to the Office of the Under Secretary of Defense, Comptroller in the Pentagon. A 1982 graduate of Wells High School, Wells, Nevada, he attended the University of Washington in Seattle on a Navy ROTC scholarship. 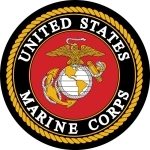 After graduating with a Bachelor’s Degree in Mathematics, he was commissioned into the Marine Corps in June 1986, where he served as a Financial Management Officer in Hawaii and Okinawa and deployed for Operation Desert Shield/Storm. He was Honorably Discharged as a 1st Lieutenant in 1990. After becoming the first Records Manager for Mohave County, he joined the 1058th Ordnance Company, AZ Army National Guard as a 1st LT in 1993 and assumed command of the Kingman Armory. Other positions he served in while in AZ were the S-1, 157th Ordnance Battalion; Commander, Headquarters Company Camp Navajo; and Provost Marshal, Camp Navajo before finding his way back into finance as the Operations and Executive Officer for the 158th Finance Battalion in Phoenix. During this time he received his Masters Degree in Educational Leadership from Northern Arizona University. 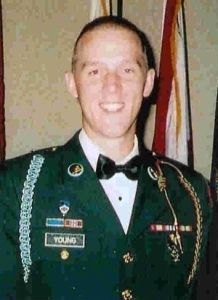 After the terrorist attacks on 9-11-2001, then-Major Beller was called to active duty at the Comptroller’s Office, Army National Guard in Arlington. Since then, he has served in several positions on the staffs of the National Guard Bureau, the Department of the Army, and the Office of the Secretary of Defense, and in 2008 he deployed to Iraq for Operation Iraqi Freedom as the Deputy J8, Multi-National Security Transition Command, Iraq under LTG Frank Helmick. Stephen’s awards include the Defense Meritorious Service Medal, Bronze Star for Service, and the Meritorious Service Medal along with numerous other personal and unit commendations. In July 2007 I went to Basic Combat Training at Ft. Sill, Oklahoma. October 2007 I left Ft. Sill for Ft. Huachuca Arizona for Advanced Individual Training. During my time in Ft. Huachuca I went through my job-specific training as a 15w, or Tactical Unmanned Aerial Systems Operator. I also participated in the German Armed Forces Proficiency Badge. The GAFPB is a German test of physical and mental performance, with events such as a 2 mile run, 100 meter dash, high jump, shot put, 300 meter swim, M9 Qualification, First Aid Qualification, and a 19 mile ruck march. I gained the Gold badge for this test by maxing out every event. I finished my AIT in April 2008 and immediately shipped off to Ft. Benning Georgia for Airborne training. The next three weeks were pretty rough. but I graduated without a problem. My next destination was Ft. Bragg North Carolina, to be stationed with the 2nd BSTB 2nd BDE 82nd Airborne Division. I remained here for the duration of my active duty term. During my time here I went to Ft. Campbell for Air Assault School for another 2 ½ weeks of training. I was also deployed to Haiti for the Humanitarian Relief Effort for 2 ½ months. Once I returned from Haiti I finished the remainder of my active duty term and then joined Hawaiian National Guard in the LDR program, with the goals of pursuing my education and not ending my military career. I entered the Army as a 68w (Health Care Specialist) on 2 Jun 2010. On that day I shipped to basic training at Fort Jackson, SC, where I spent 2 1/2 months learning the necessary skills to be a soldier in the United States Army. After graduating basic training, I went to Fort Sam Houston, San Antonio, TX for AIT (advanced individual training) to learn the skills of a 68w. While there I was selected to go to Airborne school. Once I graduated AIT on 20 Jan 2011, I got onto a bus headed to Fort Benning, Georgia. I graduated Airborne school on 18 Feb 2011. From Georgia, I got onto a plane that took me to Anchorage, Alaska. I arrived at Fort Richardson [(JBER) Joint Base Elmendorf Richardson] with the 1/40th Cavalry under the 4th Brigade Combat Team (BCT) 25th Infantry Division Airborne. I have been through many training events that led up to my 2011-2012 Deployment to Afghanistan. After the deployment, I returned to JBER, AK and have been here since. I am currently still stationed with 1/40 CAV, preparing for mission assumption of CRF (Contingency Response Force). Justin enlisted in 2011 after obtaining a BA in Business/Mktg at University of Northern Colorado. He was a 14g, Air Defense Systems operator/maintainer stationed at Ft. Bliss, TX with the 212th Fires Brigade. He had additional training at Ft. Sill, OK; Ft. Hood, TX; Redstone Arsenal, AL; Ft. Walton Beach FL (Eglin AFB). In August 2014 he changed his MOS to electronic warfare and received a promotion to Sergeant and is now stationed at Ft. Riley, Kansas. He got married in February 2015; Susan is also a Sergeant and is currently stationed in Korea. Brandon graduated from Lake Havasu High School in 2004. He enlisted in the Army January 5, 2010, and graduated from boot camp in Fort Knox, Kentucky in March 2010. In March 2010 he started his AIT Training at the Aberdeen Proving Ground, Maryland and Fort Lee, Virginia, graduating in September 2010. Brandon is an Armament Repairer (91K) responsible for supervising and performing maintenance and repairs on the mechanisms and systems of tank turrets, tank weapons, fighting vehicles, and other infantry weapons. 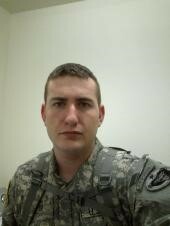 Brandon was stationed in Schweinfurt, Germany in 2010 and was deployed to Sharana, Afghanistan in July 2011 for a year. He trained as a Gunner in Afghanistan. He has been stationed at Fort Bliss, Texas since November 2012. He is married to Kelsey, and his first child, Caylin, was born March 17, 2012 while he was deployed. David graduated from Tigard High School in Tigard, Oregon in 2000, and married his long-time fiancé Jessica in 2001. 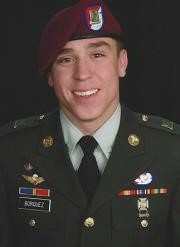 He enlisted in the Army on August 23, 2001 and was assigned to 11 Charlie,1st BN 23rd IN 3rd Brigade 2nd ID. He was deployed to Iraq in 2003 with the 1st Stryker brigade out of Fort Lewis, Washington for 19 months. He was deployed again June 2006 until September 2007. His 3rd deployment was to Afghanistan from March 2012 to November 2012. 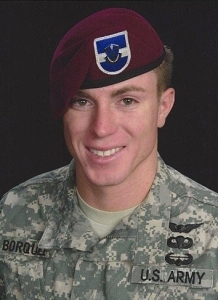 He spent two years in Fort Benning as a drill Sergeant and received an award for “Drill Sergeant of the Cycle.” He completed airborne training In Fort Jackson. His current assignment at Fort Lewis is Mortar section Sgt. and Headquarter Platoon Sgt. David and his wife have two boys and two girls: Conner 10, Rowan 5, Inera 3, and Artemis, 1. Devon has been in the Army for 8 years, since he graduated from Lake Havasu High School in 2005 at 17. He is a flight instructor for Blackhawk helicopters. He has had 5 overseas deployments including Korea, Iraq, Honduras, and Afghanistan. As of August 2013, he is currently stationed in Germany. 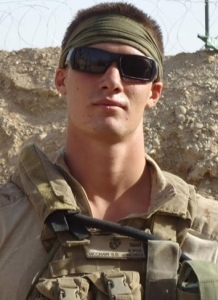 Justin graduated from Lake Havasu High School in 2011 and enlisted in the Army on October 17, 2012. He is a 14E, Air Defense Artillery in the 3rd Battalion, 6th Brigade. After he completes five months of AIT (Advance Individual Training), he will join his wife, Alissa and daughter Aubree in Ft. Hood, Texas. 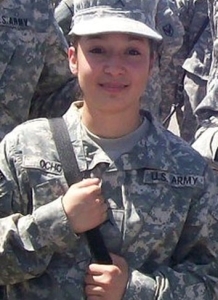 Jazmin served in the US Army from October 2006 to October 2009. She was in the 24th Transportation Company, 2nd Platoon, Ft. Riley, Kansas, and was an 88M motor vehicle operator. “I’m very proud of my baby girl,” her mom, Martha, said, “Jazmin knew from the age of nine that she was going to enlist. She worked very hard to graduate a while year earlier so she could enlist. One day she came home and said, “Mom, let’s go for a ride.” She took me to the recruiter’s office and said “Sign the paper so I can go.” Needless to say, I did. While she was serving, Jazmin was deployed once to Iraq. She also married and had a son while enlisted. She is now finishing up her classes at the University of Phoenix and will be graduating in November 2013. She graduated from Lake Havasu High School in 2005. 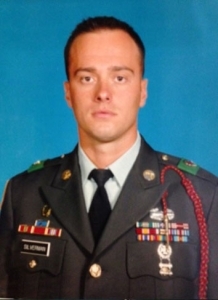 Kevin Silvèrman was 17 when he enlisted in the Army in 2003. He was in military police and served for almost 9 years. 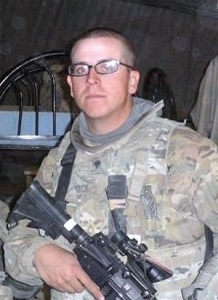 Kevin was deployed to Iraq for two tours. He was there 16 months the first time and 14 months the second time. He was then deployed to Afghanistan for 12 months. He left the service in June 2010 and is now manager of LA Gyms in Texas. He is married and has two sons, 2 and 7 months, and a daughter 6 years old. 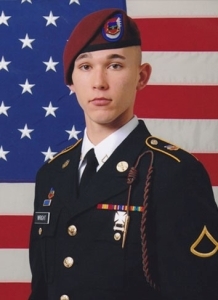 Ryan enlisted in the Army out of high school in July 2011. He graduated from boot camp in Ft. Leonard Wood, Missouri, then completed his AIT as a Combat Medic in San Antonio, Texas in April 2012. 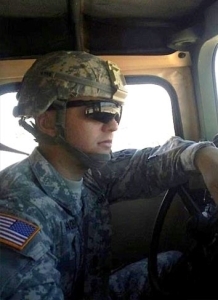 Ryan was deployed as an Army Combat Medic to Afghanistan and served there for nine months before returning back to base in Bamberg, Germany in March 2013. He is stationed now in Grafenwoehr, Germany. He trains there daily, at the same base where his uncle served many years before. Derek has been in the Army since 2003. He is a medic and has taught medic school in Ft Sam Houston in San Antonio. He also did a tour in IRAQ where he taught medic school to the Iraqi soldiers. He recently returned from his second tour to Korea. He has been reassigned to Ft Lewis in Tacoma Washington, where he lives with his wife Ana and two sons Keegan, age 8, and Kendrick, age 2. He has a 15-year-old daughter, Aiden, from a previous marriage who lives close by in Portland Oregon. SGT Trubia is making the military his career. He is running a battalion of medics in his current post. 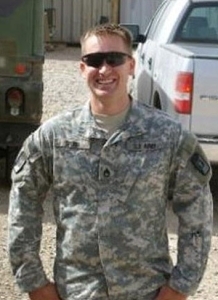 Kevin graduated from River Valley High School in Mohave Valley in 2008 and then entered the Army. He has been stationed at Joint Base Ft. Lewis McChord, WA since 5/2010. He is assigned to Attack Company, 5th Battalion, 20th Infantry Division. He has served 1 tour in Afghanistan station FOB Pasab, Kandahar, Afghanistan, where his job was to drive the stryker tanks and maintain them. He returned from Afghanistan in November 2012. Before he went into the service, Kevin had taken fire science courses and applied for a firefighter position, and when he leaves the service early in 2014, he would like to get back into firefighting. 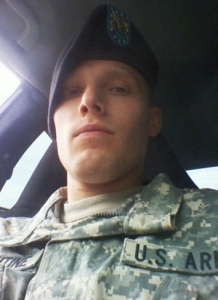 David enlisted in the Army in 2011. He was stationed at Fort Bragg, NC with the 82nd Airborne as a Fire Support Specialist and was deployed twice to Afghanistan. 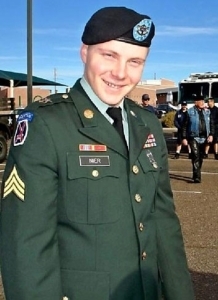 He separated from the Army in October 2014 and lives in Chandler while taking criminal justice classes at the University of Phoenix. 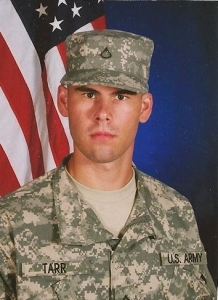 Ryan served in the United States Army from August 2003 to August 2012. He trained at Fort Benning, Georgia and was stationed at Fort Richardson in Alaska. His first deployment was to Iraq for 16 months as part of the Stryker Brigade as a Stryker Driver. He was then stationed at Fort Lewis in Washington state. His second deployment was to Afghanistan for 12 months, as a Stryker Team Leader. He received numerous awards while in the Army. He is now a 2 war veteran, serving currently as a civilian! 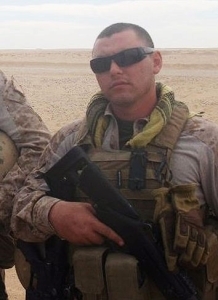 Chad is a Rifleman (0311) in the 3/4 Darkside Marines, stationed at 29 Palms, CA. He enlisted in April 2010 at age 17. He has been deployed twice to Afghanistan. 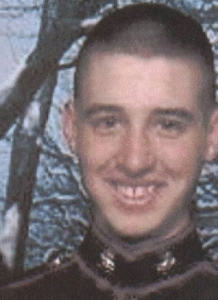 At ten, Chad shared that God told him to be a Marine. For seven years we bonded over this decision and Chad graduated early, attending boot camp in January 2010. What a blessing to watch my son follow his call/passion, set goals, and serve his country in his deployments to Afghanistan. Locally, he’s served by visiting school classrooms, Veteran’s Day celebrations, and attended a Marine Ball, where he was honored to participate in the traditional Marine “cake ceremony” as the youngest Marine, along with the oldest Marine- who was a WWII Veteran. 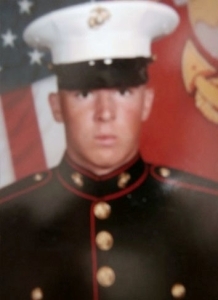 Steven “Bradley” McCraw graduated early in 2010 from Lake Havasu High School to join the Marine Corps at the age of 17. Brad has been stationed at Camp Pendleton since he completed boot camp. Brad is a tow gunner with the First of the First Weapons company. He has deployed 2 times since 2010 enlistment and will be deploying again in October 2013. Since he enlisted, he has married his high school sweetheart Jessica and become a black belt instructor when not training with his team. Brad plans to go to college after getting out of the Marine Corps in January 2015. Bethany is the eldest of five: she has two sisters and two brothers. She graduated from home schooling in 2009. She had been involved with Civil Air Patrol for five years, fully expecting to join the Air Force, but while working at our local KNLB Christian radio station she interviewed Sgt. King, the recruiter for the USMC, and felt she would be most challenged in every aspect of her life if she served as a Marine. She enlisted in the Marine Corps November 28, 2011 and will serve through 2016. She is a 2621 Signals Analyst stationed at Camp Pendleton, CA with the 1st Radio Battalion. Bethany just married her childhood best friend, Airman James Dameron, on July 27, 2013. He has just finished serving in the US Air Force. They reside in Oceanside, CA. Sgt. Nadrchal was born in Pomona, California 26 September 1986, and grew up in California and Texas. 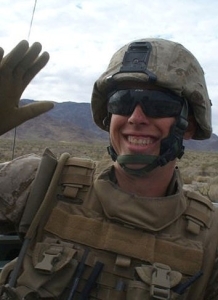 After David graduated from Telesis Preparatory Academy in Lake Havasu City in 2004, he enlisted, at 17. He is the third generation of Marines in his family. 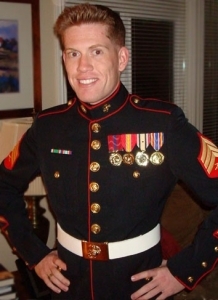 He graduated from boot camp on 29 October 2004, as Platoon Honor Man, MCRD San Diego. David spent his first year in the Marine Corps at 29 Palms, Communication and Electronics School, earning Honors; he was promoted to LCpl. After his first tour of Iraq in 2006, he returned to Camp Pendleton and again was promoted to Cpl. Upon returning from his second tour in 2008, he made Sargeant. He did a third tour, in Afghanistan, in 2011. 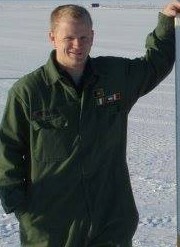 He is now stationed at MCAS Miramar, in San Diego, and is a MAG 39 radio operator and repairman. Sgt. Nadrchal plans to do 20 years in the Corps as did his father, GySgt Sonny Borrelli, and his grandfather, GySgt. Simon “Del” De La Garza. Steven “Cody” is the youngest of five sons of Donald and Sandi Nagel. He was born and raised in Lake Havasu and graduated from Lake Havasu High School. He studied martial arts with Rudy Arevalo at Arevalo Academy. 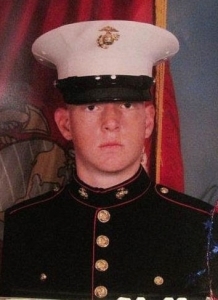 He knew from the time he was 12 years old that he wanted to serve his country, and it had to be with the Marines. Cody grew up working in the family business, Campbell Redi-Mix. He enlisted on October 15, 2012, and is stationed at MCBH, Kaneohe Bay, Hawaii with 2nd BN 3rd Marines Echo Company, Weapons Platoon #0351 (the Echo Outlaws) as an Assaultman. 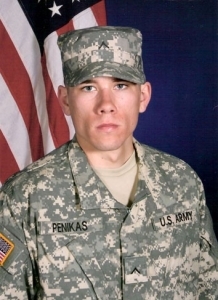 Benjamin Peters enlisted in the Marine Corps and graduated from boot camp in August 2012. He is stationed at 29 Palms. 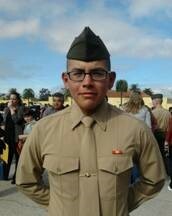 Ismael graduated from Lake Havasu High School in 2012 and immediately enlisted in the Marines. He graduated from boot camp in November 2012, and has been in training in California and Oklahoma. He is stationed at Camp Pendleton, CA. In 2014 he completed a training mission to Japan. His older brother, Charles Temple, is serving in the Navy. Joseph enlisted in the Marine Corps in October 2010. He is a Supply Clerk and is stationed at Camp Lejeune, NC. He served in Operation Enduring Freedom in the Helmand Province/FOB Dwyer, Afghanistan. Awards/Decorations he has received are the National Defense Service Medal, Afghanistan Campaign Medal, Global War on Terrorism Service Medal, Overseas Service Ribbon, NATO Service Medal, and Certificate of Commendation. 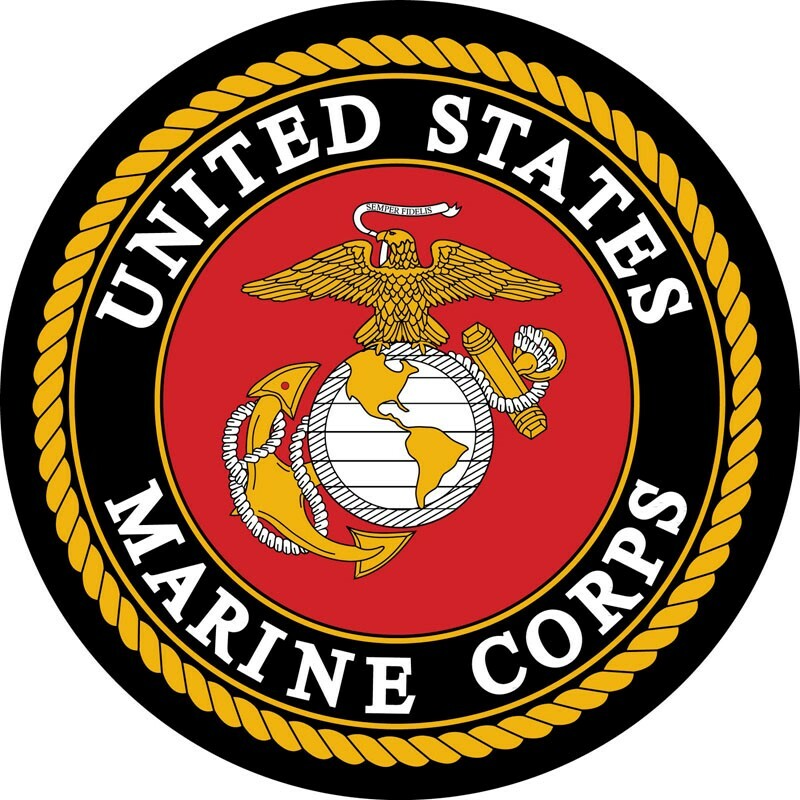 Joseph is a Green Belt in the Marine Corps Martial Arts Program (MCMAP) and is a Rifle Sharpshooter and Pistol Sharpshooter. 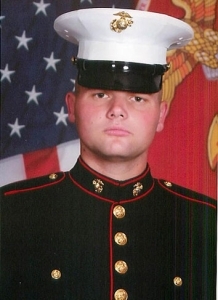 Anthony graduated from Lake Havasu City High School and enlisted in the Marine Corps in February 2009. His first 3 years in the Corps were with Security Forces/FAST – Fleet Anti-Terrorist Security Team. He was based in Norfolk VA and Bahrain. He had two deployments with Security Forces. He was also deployed to Cuba and Afghanistan, where he was a bomb dog handler. 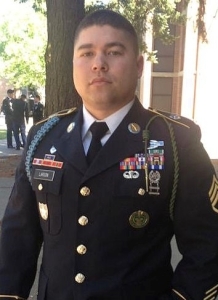 Anthony completed his service in 2014, is married and has a daughter. Benjamin graduated from Sarasota High School in 2009. He enlisted in the Navy during his senior year. He graduated boot camp in 2009 and attended Naval Aircrew Candidate and Rescue Swimmer Schools in Pensacola Florida. Benjamin won the prestigious and rare award of “Honorman” when he graduated from Rescue Swimmer School and he was one of 9 out of his class of 36 to pass. 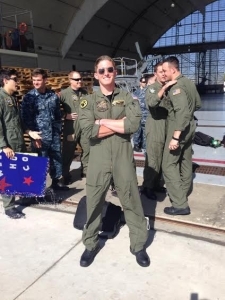 Benjamin is currently based in San Diego, California and is attached to the HSC-21 (Helicopter Sea Combat Squadron) “Black Jacks.” He earned his wings in 2012 and has since won Black Jack of the month and his E-5 status in 2013. He plans to re-up this next year. Benjamin has been deployed once with the Pacific Fleet on the USS Boxer LHD-4. Benjamin’s Philosophy is to believe in God and have no fear and conquer all. His life reflects both and his love for his country and family. 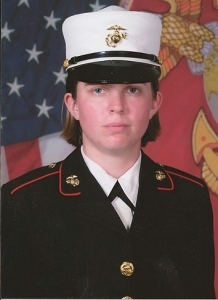 Ashley graduated from Lake Havasu City High School in 2009 and enlisted in the Navy in 2009. She spent two years at the National Naval Medical Center working with high-ranking military personnel and the Wounded Warriors. During that time she spent one year on the executive medical team for the president. She was assigned to the USS Iwo Jima as a third class petty officer hospital corpsman. 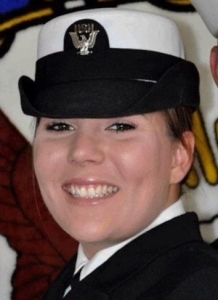 Ashley separated from the Navy in 2014 and will spend three years in the Air Force Reserves. She is attending South University in Virginia Beach full time working on her Health Science Degree so that she can apply for medical school. Maryann is an Aviation Machinist Mate First Class (Aviation Warfare Specialist) in the US Navy Command attached to COMVAQWINGPAC (Commander Electronic Attack Wing Pacific Fleet). She is stationed at Naval Air Station Whidbey Island as an Aviation Engine Mechanic. 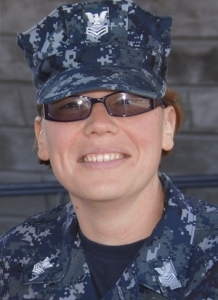 Maryann graduated from Lake Havasu High School in 1999 and enlisted in the Navy on 26 October 1999. Her basic training was in Great Lakes, Illinois. After basic she left for school in Pensacola, Florida, where she trained to be a Mechanic. After her training she reported to VAQ-142 Grey Wolves (EA-6B Prowlers). She deployed three times with that command to Turkey and Saudi Arabia. Since that command she has been ordered to VP-46 Fighting Nights (P-3C Orion), VAQ-137 Rooks (Prowlers), VAQ-129 (Prowlers), VAQ-135 (EA-6B Prowlers and later transitioned to EA-18G Growlers. She has had five deployments: two to Prince Sultan Air Base Saudi Arabia, one at Incirlik Turkey, one on the USS Enterprise world cruise, and one at Bagram Air Base, Afghanistan. So far she has served 14 years. She plans to retire at 20 or more years. Maryann is married to ADC (AW) Daniel Cowan, and they have twin 8-year-old boys, Jesse and Wesley. 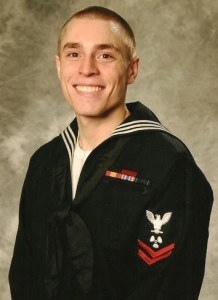 Robert joined the Navy on August 2, 2007, right after graduating from Lake Havasu High School. He was 17 years old and spent his 18th birthday in boot camp. 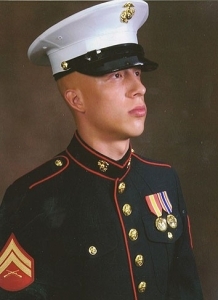 Robert is a Corpsman and was attached to the Marines out of Camp Lejeune until November 2011. During that time he was deployed twice with 2//8 Echo company to Afghanistan as a combat medic. While there, he was awarded the Medal of Valor with a Combat V. He is currently an HM2 stationed at M.C.R.D. in San Diego, where he is Lead Petty Officer of Recruit Processing; he is in charge of transitioning civilians/Marines into military life. 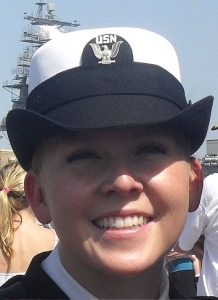 Katie’s rank is ABH2, which is aviation boatswain mate handler second class petty officer, AE5. Katie was stationed on the USS NIMITZ CVN 68 for 3 years. During that time she worked in the air department V1 crash and salvage. She had one WestPac deployment during that time. When she became pregnant she was transferred to the Naval station in Everett, Washington, working in the training department. While there, she received a Navy and Marine Corps achievement medal (NAM). She conducted several training classes and received several other medals and ribbons. We are so proud of Katie and the time she served In the Navy. She now is out after serving 5 years and is a mom and housewife to a wonderful man who also serves in the Navy. He has been in 10 years and just signed up for 5 more, planning to make the Navy a lifetime career. Angela is youngest daughter of Don and Amy, and granddaughter of Donald and Sandi Nagel. She grew up in Leon Kansas, near Wichita and graduated from Maize Complete High School in Maize, Kansas. Angela likes outdoor activities like camping and riding the family’s ATV’s. As a young teen, she competed in gymkhanas on her horse, Angel. She is a very independent young lady and decided that she was going to put herself through college without any help from her family, and that joining the service was going to be the way she would pay for it. Being the stylish young lady that she is, she chose the Navy because they have the best looking uniforms for the women. 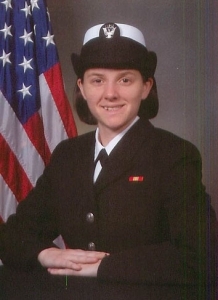 Angela enlisted in the Navy September 14, 2010. She is a Boatswain’s Mate 3 normally stationed in San Diego on the USS Pearl Harbor. She has been deployed twice, to the Middle East in 2011-2012, and to the Pacific Islands from May 14, 2013 to the present, August 2013. 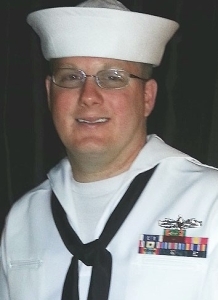 Kreig graduated from Lake Havasu High School in May 2005 and enlisted in the Navy in August 2005. He was in boot camp and A School from August 2005 to October 2006. He was deployed twice, once on the USS William P. Lawrence DDG 110 New ship Plank owner duty station San Diego in 2 summer surges 2009 and 2013. He was also deployed on the USS Carr FFG 52 Mediterranean/Persian Gulf and South Com 2006 to 2009, duty station Norfolk VA. Kreig is a DC 1 Damage Control man, presently stationed in Norfolk VA as an instructor for the Ferrier Fire Fighting School S.W.O.S. Michael entered the Navy on 25 May 2000—17 days after he graduated from Lake Havasu High School. He is an Information Systems Technician (IT) and has been stationed in Florida, Maryland, San Diego, Virginia Beach, and Italy. He has been deployed 11 times, to the Middle East, Europe, Japan, and Africa. Michael has completed his Associates Degree and is always working hard to achieve more. His entire family loves, supports, and are very proud of him! Michael married Jessica in Lake Havasu in 2000 shortly after boot camp. They had a daughter in 2005 while stationed in Italy, and two years later they had a son while he was stationed in Maryland. Their son was born at the National Navy Medical Center, where the U.S. President is treated. Charles graduated from Lake Havasu High School in 2005 and enlisted in the Navy in 2006; he reenlisted for 6 more years on May 15, 2013. He is in the ATG Afloat training group, USW underwater surface warfare. Charles trains and evaluates USW members for deployment. He’s had 5 deployments, 4 to war zones, and has participated in Iraqi war Operation Enduring Freedom, and Operation New Dawn. 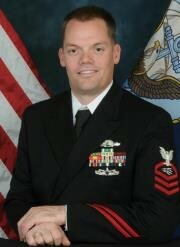 He has served on the USS John Paul Jones, and the USS Mobile Bay. In October 2014 Charles re-enlisted for six more years. 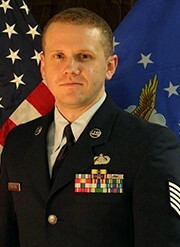 Michael was commissioned into the Air Force in May 1999 (ROTC). He is assigned to the 963rd Airborne Air Control Squadron (The Blue Knights), currently stationed at Tinker AFC, Oklahoma. He was previously stationed in Panama City, Florida and Geilenkirchen, Germany (NATO). He is an Air Battle Manager, Airborne Warning and Control System (AWACS). He has been deployed to Saudi Arabia, Iraq, UAE, Afghanistan, Ecuador, Columbia, and Curacao. Michael obtained a Bachelor’s Degree in Political Science from Bowling Green State University, Ohio, and a Master’s Degree in Human Relations from the University of Oklahoma. His hometown is New York City. Bradley graduated from West Linn High School in West Glen, Oregon. He is stationed at Peterson Air Force Base in Colorado Springs, CO. He and his wife Elaine have three daughters: Rachell 18, Rebekah 17, Samantha 12, and their home is in Round Rock, TX. He was activated from the Air Force Reserves in August 2013 and deployed to “somewhere in the AOR, where it’s hot.” He’s expected to return in Spring 2014. 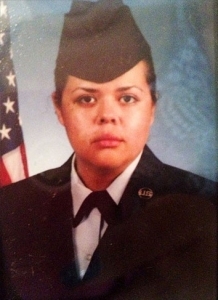 Azucena graduated from Lake Havasu High School and enlisted in the Air Force on June 15, 2009 at the age of 19. She is an electrician, and is stationed at Travis AFB. She has been deployed to Quatar, where she worked on the wiring for the C-5 Galaxy, one of the largest aircraft in the world and the largest airlifter in the Air Force inventory. Her six-year enlistment will be up in June 2015. She is married to Brandon Loaiza. Phillip is currently based out of Dyess AFB in Abilene, Texas. He is a Master Sgt and what he does is classified. Phillip has been stationed in England, South Korea, Okinawa, and Djibouti So Africa besides several bases in the states. He graduated from Lake Havasu High School in 2002, and has been in the Air Force since July 2002. He is married and has a son. Thomas is a 2009 graduate of Lake Havasu High School. He enlisted in the Air Force on December 15, 2009. He is in the Air Force 860th AMXS (Aircraft Maintenance Squadron), stationed at Travis Air Force Base. He is the crew chief on a C-17 cargo/troop transport jet. Tommy has been deployed twice to Kuwait. He was recently “coined” by the Secretary of Defense for his outstanding performance in his leadership role in his Squadron. 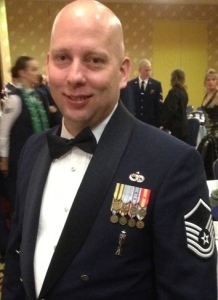 David is currently based out of Joint Base Lewis-McChord in Tacoma, Washington. He is an Integrated Avionics Technician for the C-17, and has been TDY to Italy, Kuwait, Bahrain, Afghanistan, New Zealand, Antarctica, Thailand and France. 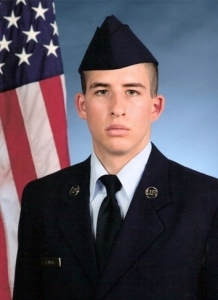 David graduated from John Burroughs High School in Burbank, CA in 2007 and joined the Air Force in July 2007. He has a wife, two daughters and a son.